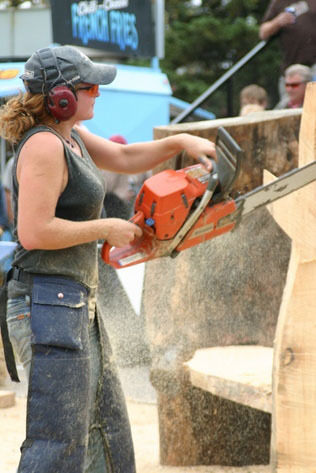 Final slate set for Kootenai Country Montana Chainsaw Carving Championship | Carve Montana! Kootenai Country Montana is pleased to announce the final slate of 15 chainsaw artists who will be coming to Libby to compete in the inaugural Kootenai Country Montana Chainsaw Carving Championship to be held Sept. 15 – 17, 2017. With the help of veteran chainsaw artist and contest organizer Steve Backus of Bigshot Wood Carving, Kootenai Country Montana has secured commitments from 15 of the world’s best to make the journey to Libby, Montana, to compete in the championship. The contest will feature three Montana carvers, Les Smith of Cut Bank, Todd Coats of Bigfork, and Libby native Ron Adamson. In addition to the Montana competitors, nine other American artists are committed to the event. Mark Colp (California), Jacob Lucas (Washington), and Ryan Anderson (Oregon) round out the western U.S. contingent. Steven Higgins (Missouri), Jamie Doeren (Wisconsin) and Lisa Doeren (Wisconsin) are coming from the central United States. 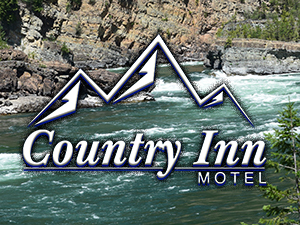 Jamie and Lisa add an extra element to the competition, as they are a married couple and business partners, but will be competing against each other for the Kootenai Country Montana championship. Wayne DeMoranville (Massachusetts), Zoe Boni Dussia (Pennsylvania), and Brandon Wilson (Vermont) are the final three American competitors in the event. In order to make the event truly international, Backus reached across both oceans to complete the slate. From the United Kingdom another family feud will take shape, as father and son carvers Harry and Danny Thomas will square off against each other and the rest of the field for the title of Kootenai Country Montana champion. From the other side of the world comes a Japanese champion, Hikaru Kodama, who will test his mettle against the rest of this world-class field. The event will be open to the public free of charge and will include carving demonstrations, vendor booths, and opportunities to meet and engage with the artists as they work on their competition sculptures and several smaller quick-carve pieces. In addition to the judges’ picks, there will also be a people’s choice award to be determined by the show’s spectators. A special VIP reception and auction will be held Saturday, Sept. 16, which will allow guests the opportunity to interact directly with the artists in a more relaxed and intimate setting. The artists have been invited to bring special pieces to be sold during this VIP event. The event is scheduled to begin Friday, Sept. 15, 2017, in Libby. Carvers will work Friday, Saturday, and Sunday morning on their competition pieces with short “quick-carve” breaks. The quick-carve pieces will be available for public auction during the competition. The event will also feature a special VIP dinner and auction on Saturday, with special pieces created by the competitors available for bidding and purchase. Steve. Wish we could be there. Where in Libby will this be located for spectators? This is wonderful that it is coming to our community. The City Council granted us permission to close Mineral Avenue from the north side of Third Street down to the turn-around. It’s going to be on the street, right downtown!